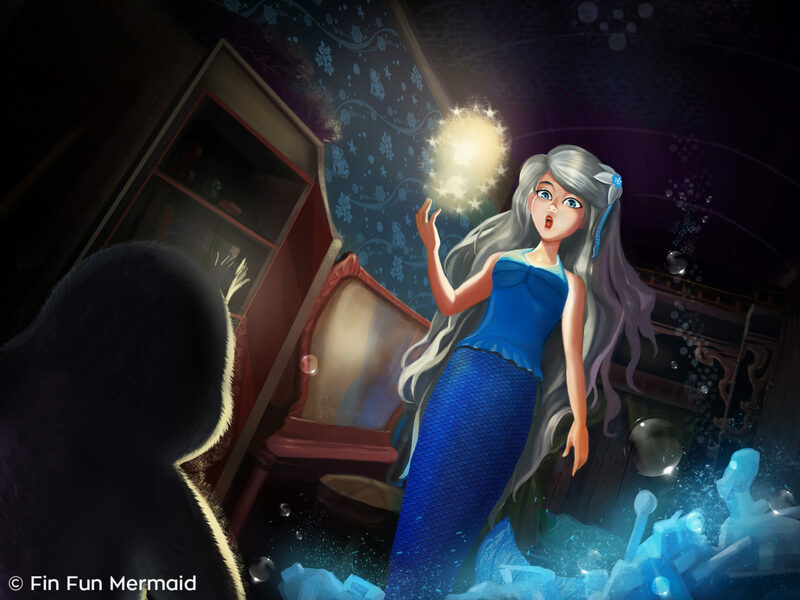 A New Mermaid Story from Fin Fun’s Royal Mermaiden, Zoey! I let my chin drop from my hand to the ornate, shell-encrusted stone table that our dinner sat on. I curled my blue and green fin under me on my cushion, wrapped my arms around my head and groaned as my mother started talking again. This was the sixth time today that she had reminded me of our trip. Honestly, I just wanted to go already. I was excited to finally see someplace new! I picked up my head and rolled my eyes to the ceiling of our Coral Castle dining room. The walls of my home are literally made out of layers of all different kinds of coral. There are pinks, reds, oranges, blues, and purples, just to name a few. This room is actually called the Blue Room because inside all you can see is blue coral on the walls and ceiling. 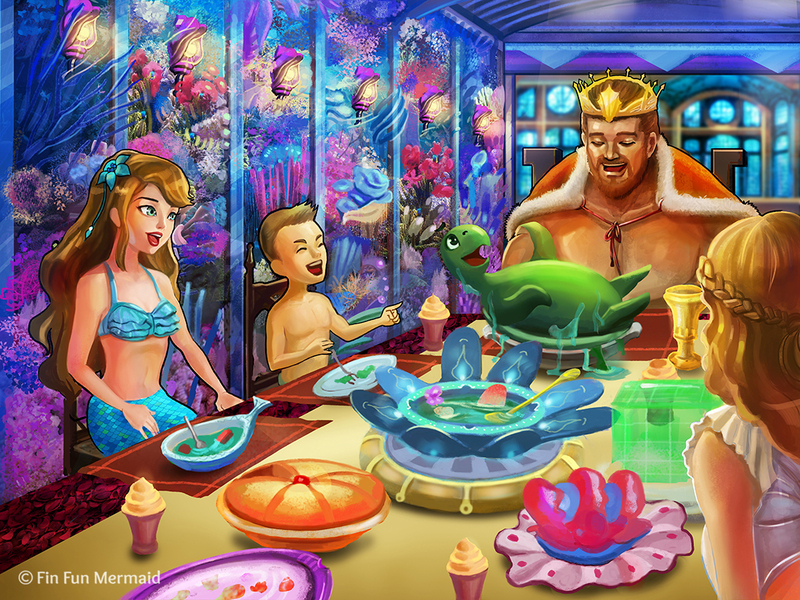 Each room in our castle is made from a different color of coral. My room is my favorite, the Turquoise Room. It’s made out of a combination of blue and green coral, just like my tail! I glanced to my left where my little brother sat staring at me with big, blue, mischievous eyes. He’s only ten, but he’s already more of a troublemaker than I am! When he made certain I was looking at him, he nodded his head toward our father. Dad sat at the very end of the table to my left. He was tired and sat on his own cushion groggily, eating absentmindedly. He’d had to stay up all night the night before, making arrangements for our short notice trip. My eyes traveled up his bearded face to the top of his large head. He had light brown hair just like mine that was cut a little below his ears. On top of his head, snuggled inside of his huge crown, lay Cooper, tucked in his shell and snoozing lightly. I couldn’t help myself. I let out a very unladylike blast of laughter at the strange sight. My mother stopped her ear bashing to stare at me; my father glanced up and then went back to eating, and my brother’s head snapped down to his chest as he tried to stop himself from laughing as well. I quickly composed myself and looked up at my mother intently. “Sorry, Mom. Got a bit of this sautéed seaweed stuck in my throat. You were saying?” My mother looked anything but convinced as I gave her a winning smile and look of pure innocence. As she resumed her speech, I snuck a glance at Cooper again. As I watched him, one of his droopy eyes slid halfway open, looking at me. Then a slow, goofy grin spread across the tiny turtle’s face. I snapped my eyes back to my mother as she looked up at me, and I struggled to keep a straight face. A few minutes later, well into my mother’s lecture on proper MerCouncil etiquette, we heard a splash, my dad’s splutter, and my brother’s uncontrollable giggling. I whipped my head up from my plate to see Cooper, soaked in seaweed sauce and standing in the middle of my father’s plate while my father, also soaked in seaweed sauce, stared down at him with his jaw hanging open. For a moment, everyone froze and stared at my father and Cooper. Then, all of the sudden, Dad broke into a huge bellow of laughter, and the table came to life again. My brother resumed his giggles, and even my mother allowed herself a small chuckle. I let out a loud whoop of laughter and shot out of my seat to grab Cooper. The happy little turtle leaped up into my arms. “Wait a moment, Zoey! Your father and I heard about the incident with the sharks the other day.” I cringed at my mother’s voice and slowly turned around. I started, surprised. Then I gave her a big grin and swam out of the room. Zoey lives in the Coral Sea, near Australia in the South Atlantic Ocean. 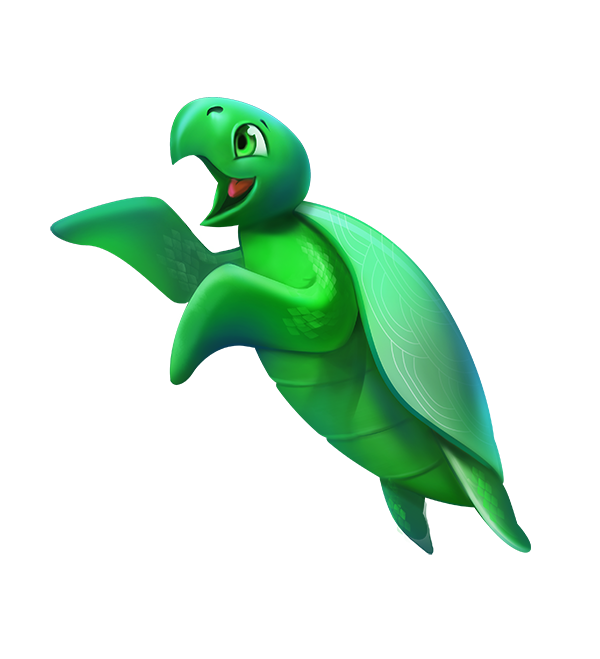 There she and her best finfriend, a sea turtle named Cooper have fun riding currents and playing games with sea animals. 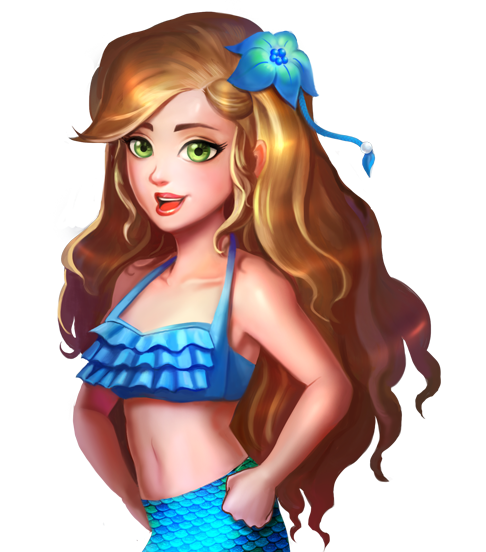 Zoey has the royal Mermaiden power to command other sea creatures, which she uses to protect her fellow merfolk and others. My tail seems similiar to Zoey’s. Wow Cooper is hilarious! He reminds me of my own fin friend sea turtle, called Taylor. My mermom says he is obnoxious, but I think he is adorable! I agree! My finfriend is a dolphin named Coral and she is anything but well behaved! It’s very funny, because she once ate my mom’s food right off her plate when she wasn’t looking! It was hilarious! I got my tail today,I ❤️ It SOOOOO much! 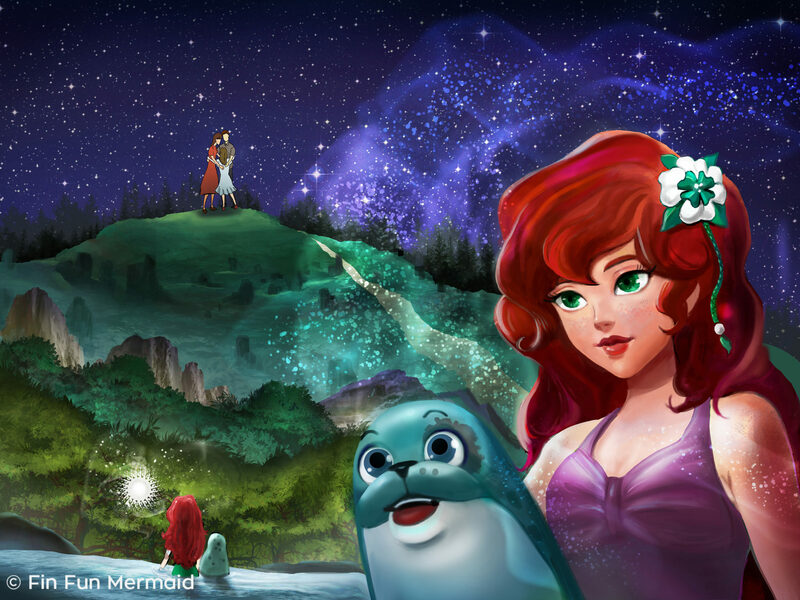 Who is your favorite mermaid, Joy? Did you guys hear about the Trashion Fashion contest?